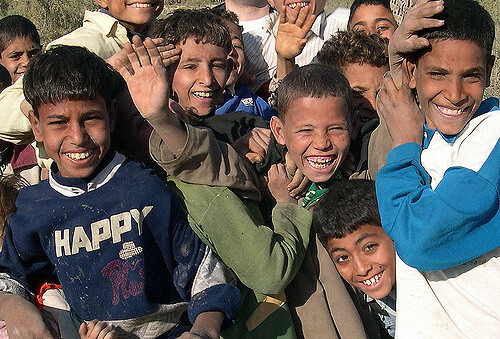 Pray for: stability of government; justice and protection for non-Muslim religions; influence for tolerance among Arab nations; spiritual awakening in the Coptic Church; wisdom for church leaders; increasing impact for Christ of electronic media; Muslim background converts. The Coptic Church is by far the largest body of Christians in the Middle East and is a strategic key for evangelization of the region. Wisdom, grace and confidence are needed for the Coptic Pope and church leaders in handling relations with Muslim authorities, Islamist persecution, and the questioning world around them. Since 1930 there has been a movement of biblical renewal within the Coptic Church with an emphasis on Bible study and personal faith, and many are fervent witnesses for the Lord. Pray for the growth and effectiveness of this spiritual movement, as well as the evangelical churches. Millions of Muslims are now able to hear the gospel clearly in a safer environment through the innovative use of electronic media, and the response has been widespread. The Coptic official reaction to recent multiple killings in Egypt by Islamist terrorists has been that martyrdom is linked to the Christian life and to offer forgiveness. Islam religion controls many aspects of social life and is endorsed by law. Pray that Christian churches will resist persecution with holistic ministries that have a Kingdom impact for reconciliation and social good far greater than their number. Egypt has one of the longest histories of any modern country: it is considered a cradle of civilization, including some of the earliest developments of writing, agriculture, organized religion and central government. In 33 A.D. Christianity came to Egypt and by the 4th century it had become a leading center, but it was Islamised in the seventh century. Egypt remains a predominantly Muslim nation, with a significant number of Christians remaining. Today Egypt is the most populous country in North Africa and the Arab world and is considered to be a regional and middle power with significant influence in the region. Its economy is one of the largest and most diversified in the Middle East and projected to be one of the largest in this century. Its press is one of the most influential and widely-read in the region, and its TV and film industry supplies much of the Arab-speaking world with shows from MPC located near Cairo. 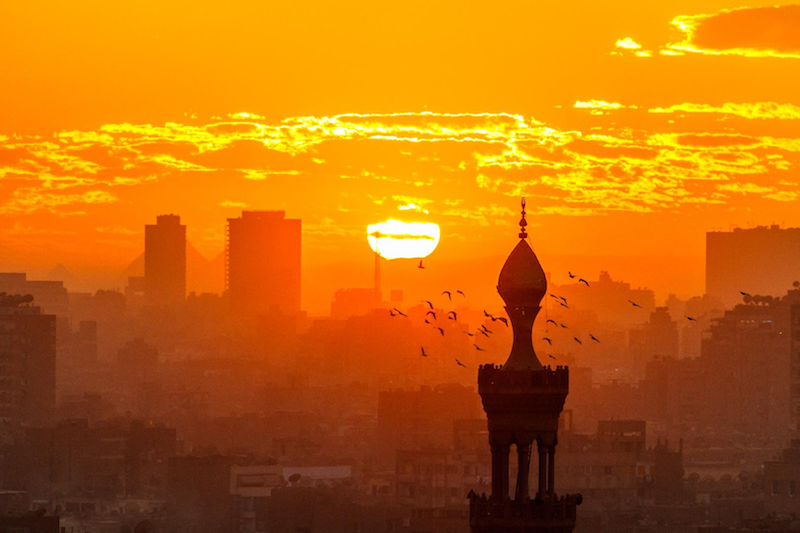 The Egypt state still runs many TV and radio stations, websites, newspapers and magazines. But since Mubarak’s ousting in 2011, most pro-Islamist media has been closed, or broadcast from abroad. 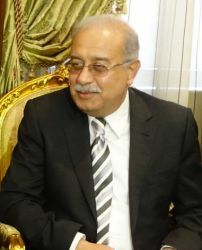 elections/appointments: president elected by absolute majority popular vote in 2 rounds if needed for a 4-year term (eligible for a second term); election last held on 26-28 May 2014 (next to be held in May 2018); prime minister appointed by the president, approved by the House of Representatives. Legislative Branch: unicameral House of Representatives (Majlis Al-Nowaab); 596 seats; 448 members directly elected by individual candidacy system; 120 members - with quotas for women, youth, Christians and workers - elected in party-list constituencies by simple majority popular vote, and 28 members selected by the president; member term 5 years; note - inaugural session held on 10 January 2016. Egypt’s recent civil history has been volatile, with clashes between Islamist forces, the army, and popular uprisings. President Hosni Mubarak ruled for three decades before being swept aside in the Arab Spring of February 2011 by a popular uprising. In 2012, Muslim Brotherhood candidate Mohammed Morsi narrowly won the presidential election. Islamist Morsi lasted a year before he was ousted by the army headed by Army Chief al-Sisi amidst overwhelming popular uprisings. President al-Sisi’s authoritarian type government has to some extent restored the rule of law in Egypt, but at the price of religious restrictions. 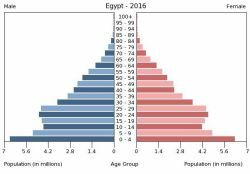 Living standards in Egypt are low by international standards, and have declined consistently since 1990. According to United Nations figures, some 20 to 30 percent of the population live below the poverty line. Despite widespread poverty, however, uneven development has led to the emergence of an affluent class that controls most of the country's wealth and enjoys an elevated standard of living that includes shopping at centers that feature the best imported goods. Living in such Cairo suburbs, the wealthy send their children to private schools and to universities abroad. Yet not far from these affluent neighborhoods, a significant number of poor Egyptians live in squalor, with poor and overcrowded housing, limited food supply, and inadequate access to clean water, good quality health care, or education. The rapidly growing population of Egypt is a challenge to government officials responsible for meeting the country's housing needs. Nevertheless, post-MUBARAK governments have not made curbing population growth a priority. Population size, a shortage of skilled laborers, and a shortage of construction materials have resulted in a shortage of affordable housing. The growth of slums has caused an increase in crime, violence, and religious militancy (forceful expression of religious beliefs). Another major problem is the illegal use of drugs. The major criticism of Human Rights watchdogs is that not only violent opponents, but also nonviolent political opponents, are being denied their political and civil rights in the government's attempt to maintain control. Heath Care—Technically speaking, Egypt offers a universal health care system. Yet the quality of care in public hospitals is far lower than in private and foreign clinics. 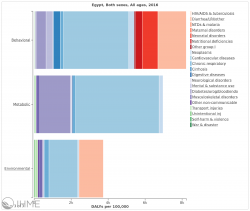 On the whole, Egyptians prefer to see private doctors for check-ups and outpatient care (provided that they can afford it). In a recent government survey, over half of the respondents said that they attempted to obtain private care before government care. The same survey concluded that around 90% of inpatient beds are located in public medical facilities (public hospitals, university hospitals, military hospitals). Geography: Egypt is a transcontinental country situated in northeastern Africa and on the Sinai Peninsula in Western Asia (Middle East). It is the driest and the sunniest country in the world, and most of its land surface is desert. Average high temperatures are high in the north, but very to extremely high in the rest of the country during summer. In 2016, GMO Registered 5,307,465 Gospel Visits, 217,817 Indicated Decisions and 14,725 Discipleship Web Visits from Egypt. Frank: Frank & Martha corresponding with John through chatroom facility. Will get to see him next Tuesday (may 1). Knows a worker with CEF training teacher, travels all over the world but is in PA now. Called earlier this week telling him a Christian man was to give 1M in that ministry wants people to sign up on a prayer schedule. Sounds like something that is exciting. Nick Vujicic says a man is giving $1M a day to prayer ministry. Barbara: Needs prayers because she is having some heart problems, connected to her blood pressure, so she will need to call the clinic. She believes that one of her medications may be causing this but is sure it is not anything serious. Alice: Pray for her Hindu neighbor - she’s lost her job. She thinks Jesus is like her pagan gods. Going to start offering her a paper on the purposes of life. I think she’s open. May she learn who Jesus really is. Pray for Jigna.